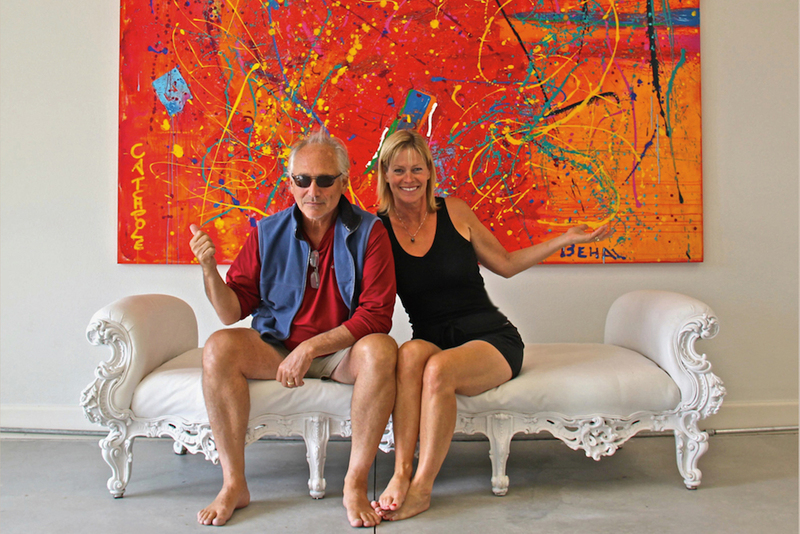 Steve Behal and Jeannie Catchpole are partners in art and life. They re-united after a 22 year hiatus and began a romantic love affair and a collaborative artistic journey. Steve was a film, television and theatre actor in Canada. He is an award winning photojournalist, painter and writer. Jeannie knew she wanted to be an artist from the age of five. It took her nearly a quarter of a century after meeting Steve, to know she wanted to be a co-painter with him.